You have a lot on your mind at work. On top of the stress of your job, you have the stress that comes with having co-workers and being part of a complex organization. All of this impacts an individual's psychology and creates a group dynamic that impacts everything from job performance to personal well-being. Toronto-based start-up, Receptiviti, uses the power of AI to analyze the psychology of the workplace. Read the full article here. 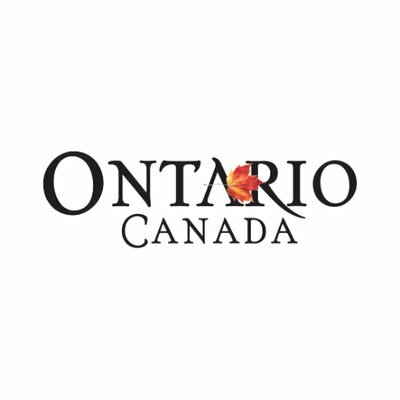 Ontario has become a true hub for artificial intelligence, not just in Canada, but worldwide and the province's reputation as a global leader in AI is growing. It's home to world-class research centres such as the Vector Institute for Artificial Intelligence. Whether in fintech, medtech or other fields, some of the most promising AI ventures are located within the province. Here are just a handful of the ones to watch this year. TORONTO – February 12, 2019 – Today, Receptiviti announced that Mike Friedman has joined the company as Chief Analytics Officer and Head of Product. Mike has spent the past two decades building and managing data science and product teams. He built and led Scotia’s Capital Markets’ Data Science & Analytics group, growing the team to cover all of Wholesale Banking including Capital Markets, Corporate and Investment Banking, and Commercial and Treasury. Read more at Betakit. TORONTO – November 14, 2018 – Today, Receptiviti announced that data scientist and software engineer Alain Chesnais has joined the company as Chief Technology Officer. Alain has over 30 years of industry experience, holding leadership positions at Tucows, TruSpectra, ATI, and Alias|Wavefront. While at Alias|Wavefront, Alain spearheaded the development of the Academy Award winning 3D graphics application Maya. Read the full press release at Betakit. Receptiviti’s Kiki Adams and Shayna Gardiner to speak at Text Analytics Forum 2018, Washington, DC. Most text analysis methods include the removal of stopwords, which generally overlap with the linguistic category of function words, as part of pre-processing. Research within the field of language psychology, has shown that function words are indicative of a range of cognitive, social, and psychological states. Taking place November 5-7 at The Ritz-Carlton in Half Moon Bay, California, Techonomy poses the most provocative questions around technology, business and social progress. The three-day event brings together a diverse group of business leaders, technologists, academics and government officials for unscripted conversations about the most pressing issues facing innovators, investors and business leaders. Receptiviti’s SaaS platform stems from the realization that large organizations are ill equipped to understand whether the work environment is healthy. “Oftentimes, it takes an event to happen for them to realize that things weren’t as good as they hoped,” says Jonathan Kreindler, chief executive officer of Receptiviti in Toronto. Receptiviti Is a Keynote Speaker at PSHSA’s Annual General Meeting. Kiki Adams and Jonathan Kreindler will be discussing the future of measuring and monitoring workforce culture and mental health at Public Services Health and Safety Association’s Annual General Meeting. In conjunction with the Global Risk Institute, Jonathan Kreindler and Mike Durland unveil Receptiviti’s revolutionary approach to managing workforce culture and mitigating human capital risk. If you missed the event, you can download the white paper here. Machine learning can zero in on abnormal behaviour not detectable by existing programs. Technological advances in artificial intelligence are fuelling a new race between hackers and those toiling to protect cybersecurity networks. Cybersecurity is always a race between offence and defence, but new tools are giving companies that employ them a leg up on those trying to steal their data. Billy Beane, the analytics-driven general manager of the budget-strapped Oakland A's, shook up sports and corporate boardrooms by melding overlooked, under-valued players into oddball yet cheap and winning teams. As depicted in the book Moneyball, Beane enshrined a new job category in serious sports — director of analytics. But there is one big thing that it never accomplished: win Beane a championship. Enter artificial intelligence: Some pro-sports teams are exploring how machine learning, the leading form of AI, might help where Moneyball has fallen short. Information technology evolves through disruption waves. First the computer, then the web and eventually social networks and smartphones all had the power to revolutionize how people live and how businesses operate. They destroyed companies that weren’t able to adapt, while creating new winners in growing markets. While the exact timing and form of such waves of disruption are hard to predict, the pattern they follow is easy to recognize. Take the web/digital disruption, for example: There was a technological breakthrough (e.g. Sir Tim Berners-Lee’s WWW), which built on/took advantage of existing technologies.